La312a Frehel Port Nieux, K.V.U.Gruppe Lamballe. 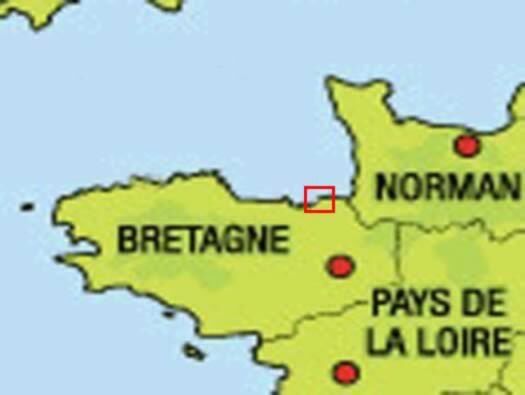 A Very Small Wn Covering Port Nieux. 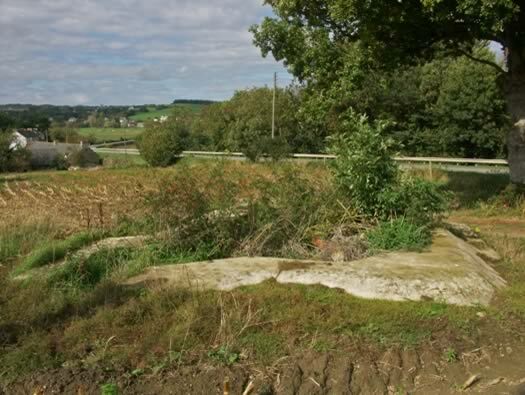 K.V.Gr Lamballe (La) covers La302 at Pointe de Lancieux to the village of Frehel La320. Plan of an R669 casemate for a field Kannon. 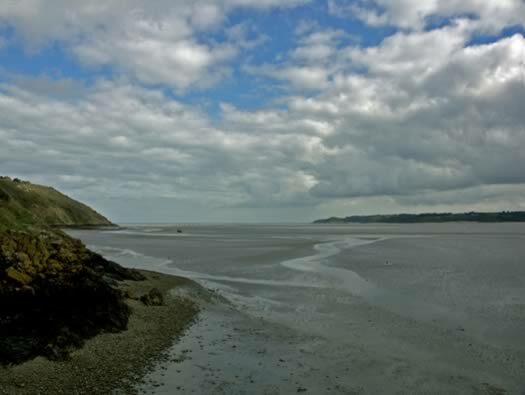 Lo312a on the Left of The Bay. 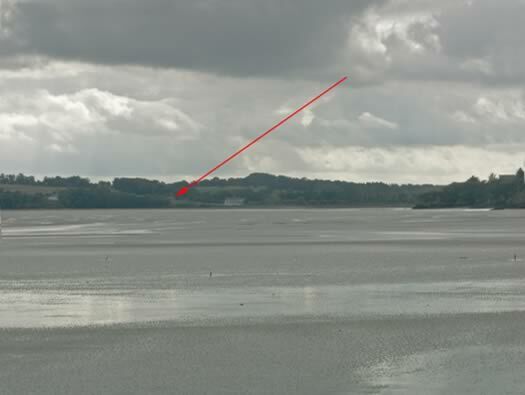 This defence is only one lonely 7.5cm cannon that would have stood out in all weathers until a casemate was built for it. 7.5cm F.K. in the open. 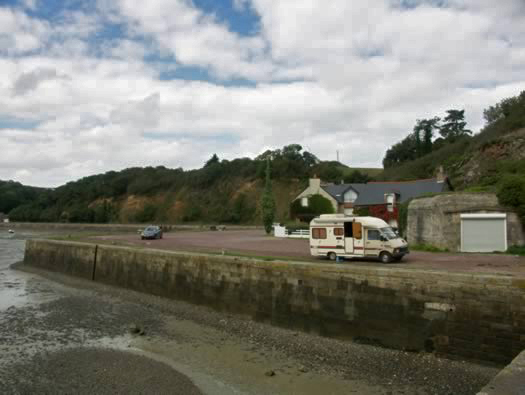 This little port now hardly used at all and is tidal so that it dries out at low tide. 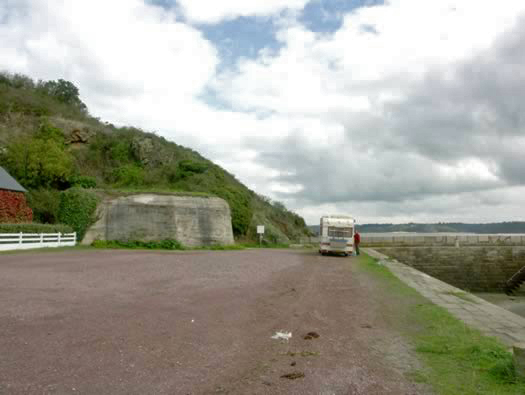 The H669 casemate is the large grey concrete in front. 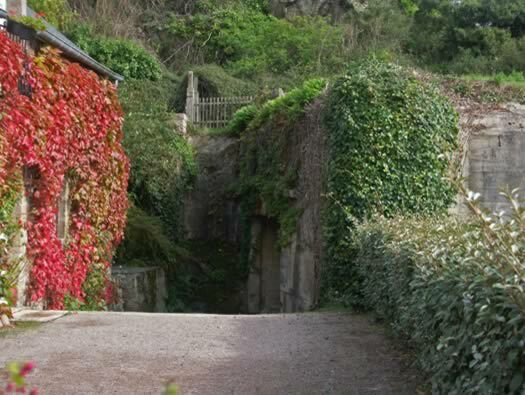 Now a nifty little garage but once a bunker at war with a field gun and crew. A 7.5cm field gun of WW1 vintage, horse drawn and brought out from storage to be re-used. Probably there would have been a small gun detachment of a Sergeant/Corporal and about four men and a half section of defence troops. The view from the quay. 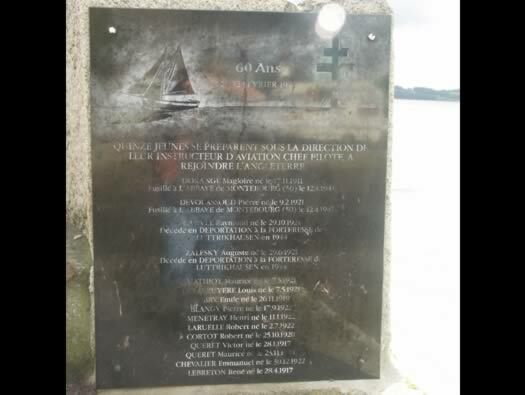 The house would have been the troops billets and they would have used the gun to protect the Baie at high tide from a suspected landing by allied troops. 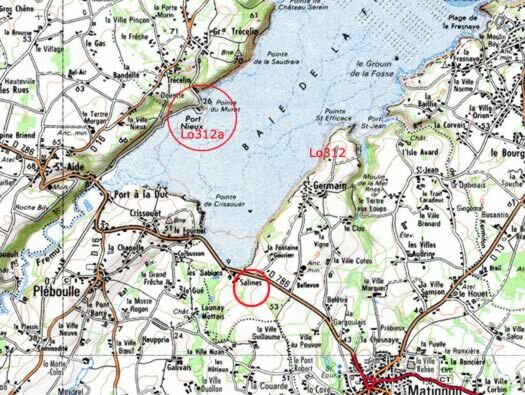 La312a Frehel Port Nieux. 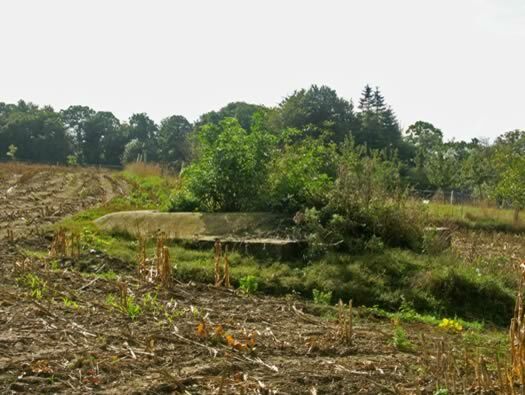 Rear of the R669 casemate. 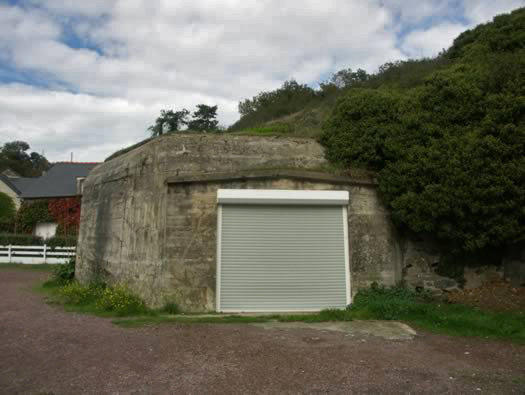 The casemate was designed to allow the gun to swivel 60degrees. The View From Salines to La312a. We noticed this Vf600 open emplacement for a 5cm KwK A/T gun sitting in the field. I have been through all the books and there seems to be no defence position here but they must have thought there was a blind spot, this gun would have covered the beach & the D786 in both directions. I am sure the trees would have been cut down so there was more view. 5 cm KwK Pak gun Stand.